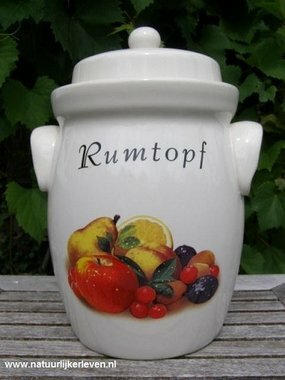 Several Rumtopf pots in special designs. 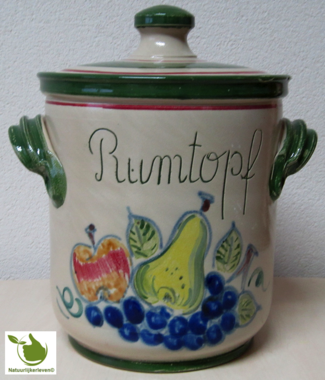 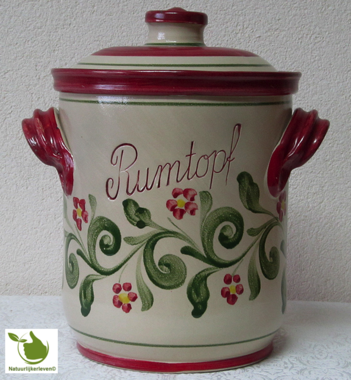 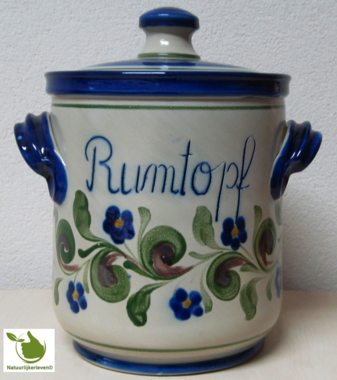 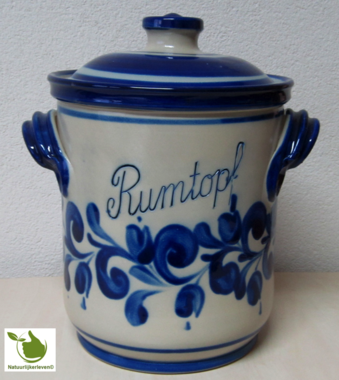 Rumtopf bulky shape 4 liter. 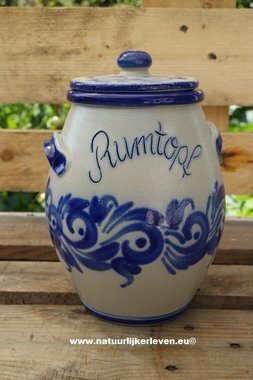 Genuine German pottery, handmade, salt glaze!